We have already seen some leaked photos of the HTC One Mini, which was previously known as the HTC M4, and now we have another photo of the handset, which gives us a better look at the device. The HTC One Mini will features a 4.3 inch HD display with a resolution of 1280 x 720 pixels, the device will come with a dual core 1.4GHz processor, the exact model has yet to be confirmed but is expected to be a Qualcomm Snapdragon 400 processor. Other specifications on the HTC Mini One will include 2GB of RAM and 16GB of built in storage, plus a microSD card slot for added memory, the device will also feature HTC’s Ultrapixel camera. 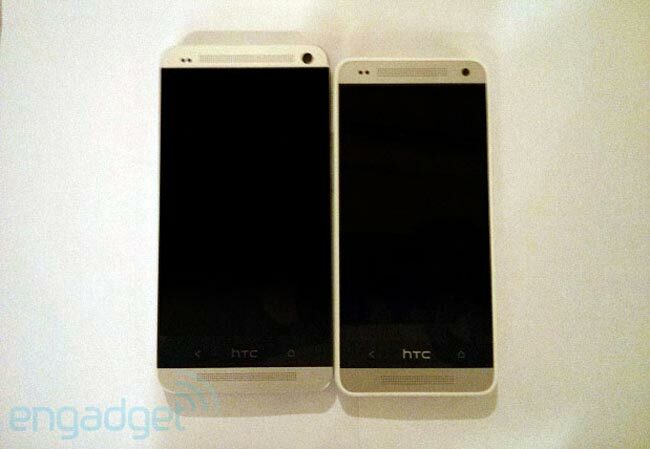 As you can see from the photo above the HTC One Mini shares a very similar design to the larger HTC One, the handset is expected to feature the same metallic casing as the HTC One. We previously heard that the HTC One Mini would launch some time in July, as yet we do not have any details on exactly when the handset will go on sale and also no details on pricing, we will keep you guys updated.